The opening act of Vane is one defined by chaos; our diminutive hero dashes across a metallic slated terrain where vicious, hurricane level winds whip up all around and violent lightning strikes pull metal plates off the ground like scabs being peeled off of skin, all the while the soundtrack recalls the retro-synth infused beats of 80’s silver screen favorite Tron. It is, by no measure of exaggeration, a kaleidoscopic audiovisual treat which underscores a wealth of creative imagination at the practiced fingertips of its creators. If Vane’s ascension to such giddy heights is one characterized by a hastening heartbeat and a fraying of the senses however, than the subsequent plummet and the sheer aggravation felt during its frequent and more frustration-laden portions is only made all the more tragic as a result. Principally, Vane centers around a bird that finds itself turned into a young boy when it comes into contact with a glittering, golden substance – the subsequent metamorphosis causing ripples to fire into the world which in turn cause the very geometry of the environment to shift and change in a variety of different and unexpected ways. There are no spoken lines and no deep story with fleshed out characters here – Vane is very much an exercise in the offbeat and the abstract. Vane absolutely nails the feeling of flight, if little else. Chiefly as an obsidian feathered avian, Vane certainly feels freeing in the early going – as subtle nudges of the analogue stick gently direct our airborne friend with ease, so too do full-tilt pushes of the stick send him into a sharp swoop, while a click of the circle button causes him to slowdown and buffet his wings with vigor as the wind gently ripples through his feathers. 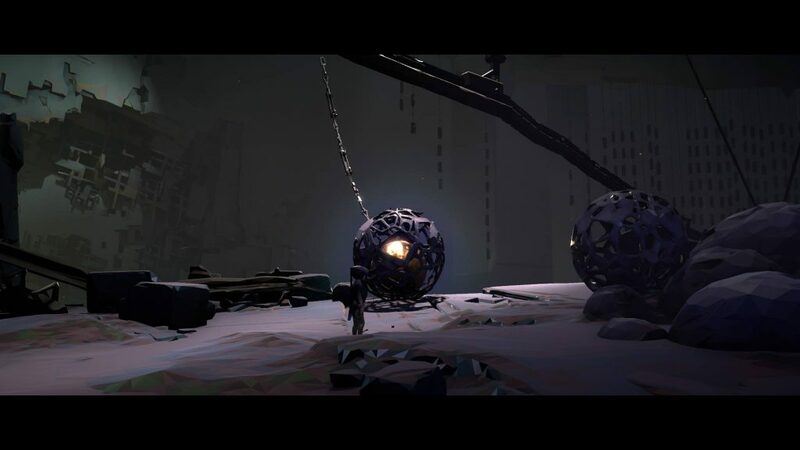 The world of Vane is one that certainly begs exploration – that much is for sure. A breathtaking vista that plays host to a marriage of dusty deserts, winding canyons, buried structures and towers with tips that aim to puncture the sky, there are no shortage of far off points of interest and curious places to investigate from your airborne perspective. Neatly complimenting the sweep and spectacle of Vane’s environments are the visuals themselves, as flat-textured surfaces mix with a sort of metallic polish to provide the game with an oil painting styled veneer at long-range, contrasting in turn with the much more simplistic, texture-free surfaces when viewed up close. 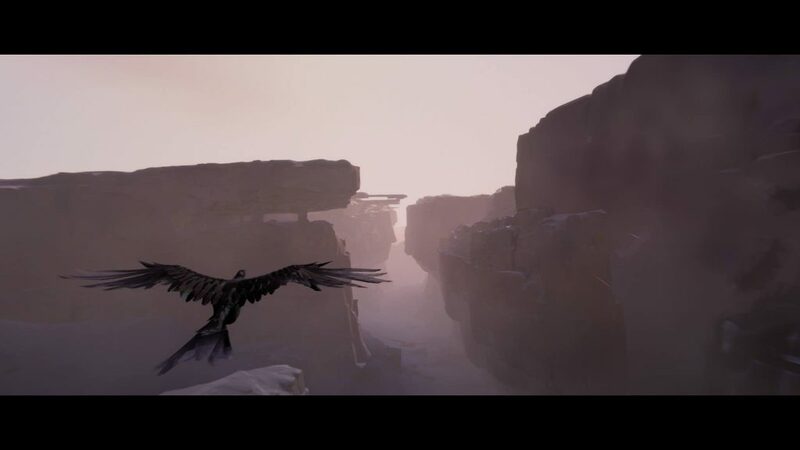 Likewise, the lack of focus at the edges of the presentation also lend Vane a dream-like quality, while the nuanced animations of the bird turning its head or perching on a ledge are all realized with pleasing artistic flourish and aplomb. 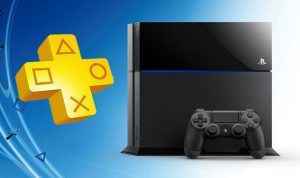 There’s no denying it – Vane is an attractive looking offering. It’s just a shame that every other aspect of its design fails, often quite spectacularly, to match the heady caliber of its retina-strokingly handsome presentation. 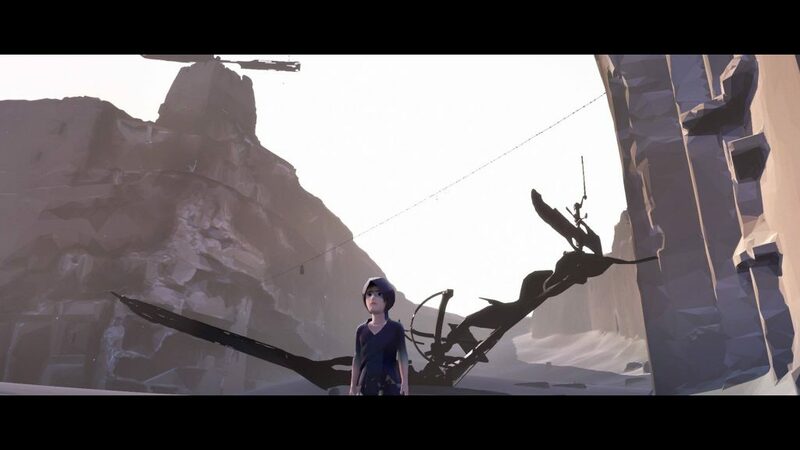 A third-person adventure, Vane has players exploring a desert landscape, interacting with elements in the environment to trigger changes in the landscape that in turn open up some path to allow the player to proceed on. The thing is, the game does not provide any obvious indication about where to go next at a number of key points and the total lack of a map also means that the key points of interest in the world must be stored in memory – a big issue for those who do not have the near superhuman quantities of patience (and memory) to achieve this feat. Vane’s puzzles are fairly straightforward, and often require some platforming shenanigans to be performed. Orientation is organic – sparks of light, a light blue lens flare on the corner of the screen or a gently rising crescendo of synth-infused sounds are seemingly intended to act as your guide in Vane. The issue is, these far too gentle nudges are often never present when you need them and also somewhat problematically, sometimes these can also be red herrings – which is hugely frustrating when you’ve been flying around the same desert for nearly three hours. Granted, I understand that this is something which fits directly into the intentions of the developers who have previously said that they wanted discovery and orientation to feel something more akin to instinct than the overbearing hand-holding of other contemporary efforts. Arguably though, is a great many steps too far in the wrong direction, because Vane can all too often feel utterly aimless when the player is given free reign to explore the world and it’s something that will surely frustrate other players as did it myself. Next up is the absolutely wretched save system. In Vane, there is no option to manually save your progress as instead it uses an auto-save system as countless games before it have already embraced. This should be fine. It isn’t. It isn’t fine because Vane is split up into four acts and the game saves just once at the beginning of each act. Yep, that’s right – Vane has four saves total across the entirety of its duration which means that no matter what you do in those acts, unless you make it to the next one, you’ll start again at the beginning of the current section. Further sticking the boot in is the fact that Vane’s seemingly eschewing of a typical UI also extends to its ability to communicate when it is saving too, because it simply never tells you. So, imagine my anger/fury/loathing for mankind when I accomplished a whole *bunch* of stuff in Vane’s second act, exited the game safe in the thought that my progress was saved only to find later it wasn’t. My TV isn’t supposed to be an expensive target for controller throwing – but it almost was after that. This ball has been the bane of my life for the last two days, thanks in no small part to Vane’s exotic raft of game-breaking bugs. Another issue is in the sections when you transform back into a boy. Here, not only does the young lad simply fail traverse the landscape quickly enough, but he feels far too weighted and sluggish to respond too; an unpleasant double-whammy that makes the mandatory long-form running across the world in the later stages much more of a tedious chore than it otherwise should have been. By far though, one of the biggest issues that players will face when playing Vane are the bugs that seemingly generously threaded through the game world. Though there are a range of relatively benign bugs, such as your bird harmlessly glitching through a surface that he has perched on previously, or the camera getting stuck in the environment, it’s the more serious defects that present a real cause for concern. Sometimes button presses will just refuse to work – you’ll be prompted to push the triangle button to trigger something for example, and no matter how many times you press it, nothing happens. 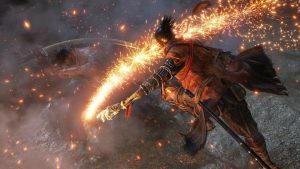 Occasionally, the music and sound effects decide to cut out – a major bummer when you remember that so much of Vane is predicated on audiovisual stimuli – particularly when it comes to progression. Vane’s dogged pursuit of design minimalism can make it frustrating to play, as progress to the next part of the game often remains bafflingly obscure. Or maybe you could win the bug lottery like me! You see, in one situation I had to push a golden ball around a level and do all kinds of other platforming stuff to boot. This is fine, I thought, this seems manageable, I thought. Well, one hour into the act when I had finished pushing the ball around, I proceeded fell through the floor and transform into the bird from earlier (this happens whenever the boy fall a distance deemed to be too far). No big deal, I thought, as I could just navigate back to the where the ball was and simply transform back again – except that, well, the ball wasn’t where I had left it and had simply disappeared – requiring a restart of the whole act thanks to the save system. Or, in another situation early on, I had to activate a number of different elements in the environment to trigger a gate appearing in a specific location. I did this and the gate didn’t appear – however one reload later and then doing everything exactly the same, the gate then appears! I was absolutely seething. Vane shouldn’t have been this aggravating. In terms of visual and audio presentation it is a beautifully designed curio that on first glance looks like it should rub shoulders with fellow indie darlings such as Journey and other titles of that ilk, but the sheer frustration that inevitably emerges as the result of its questionable design decisions and litany of face-clawing bugs mean that any magic that Vane might have soon finds itself quickly extinguished. 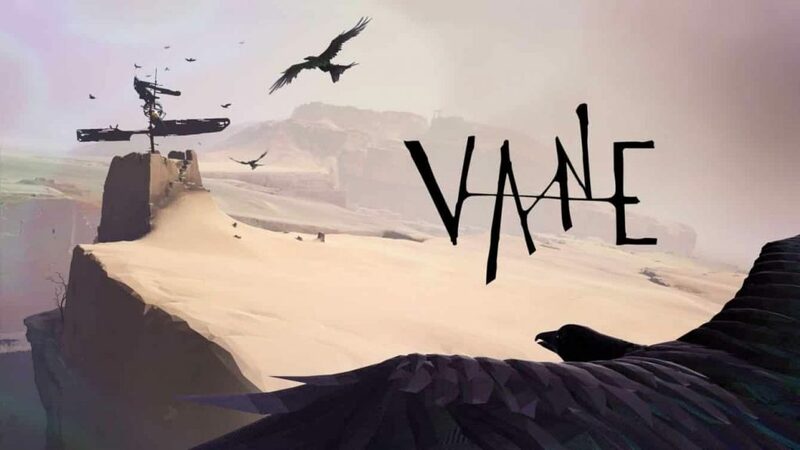 Developed and published by Friend and Foe, Vane is out now exclusively on PS4. 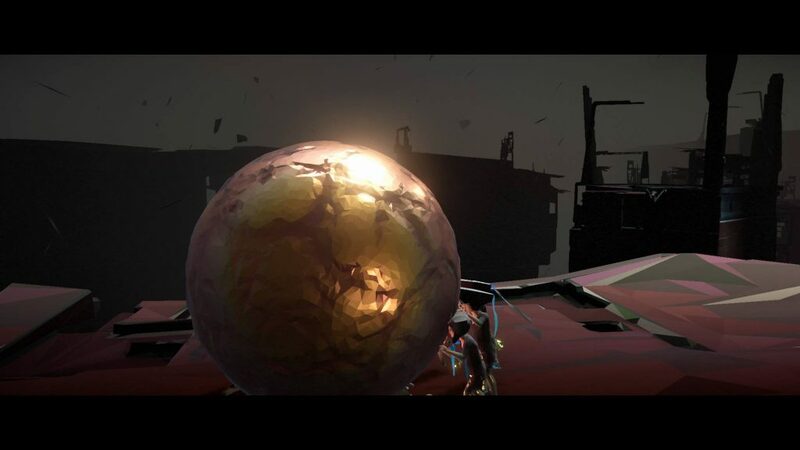 Though it boasts a resoundingly striking aesthetic, a haphazard save system coupled with a raft of glitches and a misjudged waypoint system all manage to tarnish what should have been one of the first major indie darlings of the year. Vane is simply too frustrating to recommend in its current form. It was announced back in 2014. 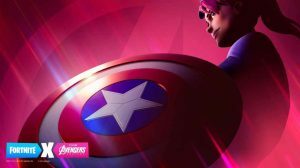 It’s 2019, and the game still feels like it should have been ironed out a little. Controls like these makes me wonder why didn’t the devs bothered to fix them? Hell, did they even tried game testing Vane with players? Considering that people praised Vane just for the graphics, I knew something was off.